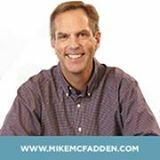 One of Sen. Al Franken’s leading GOP challengers, businessman Mike McFadden, reported $780,000 in fundraising during the last three months of 2013, for a total of $2.2 million since he entered the race in late May. Franken has yet to make his fourth quarter reports public. His last report, filed in October, showed that he had raised more than $2 million in the previous three months, giving him a war chest of $3.9 million for his upcoming reelection bid. McFadden’s latest report leaves him with $1.7 million in cash on hand in the race against Franken.